A printable model of this tutorial can be downloaded from: www.myenglishexam.com/writing_models/ModelOnePeopleAndChange.pdf This is the second part of the IELTS Academic Writing Task 2 tutorial on "People and Change". This part - Model 1 - provides a model written response and explains the text. Model 2 provides an alternate way of writing about the Task. 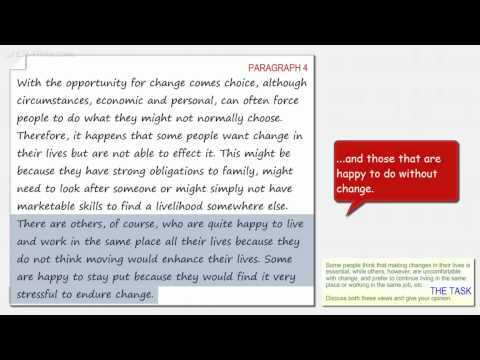 С видео IELTS Writing Academic Task 2 (Essay) : Model 1 (People and Change) изучать английский язык очень легко. Thank you so much for your help, It's? really helpful for me.